Black & White is a blended Scotch whisky. It was originally produced by the London-based James Buchanan & Co Ltd founded by James Buchanan. Originally known as House of Commons (after the British House of Commons), its nickname, referring to the black and white labelling, was eventually adopted as the official brand instead. 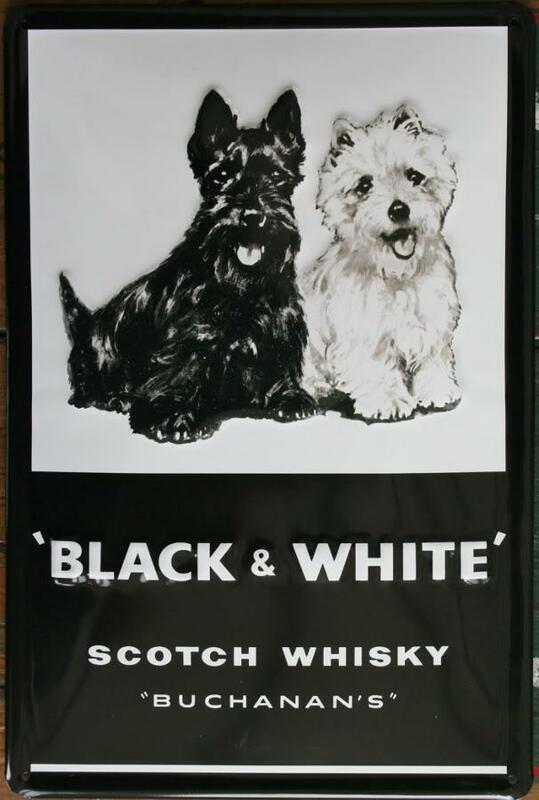 The brand's motif (featuring a black Scottish Terrier and a white West Highland White Terrier) was conceived by James Buchanan himself during the 1890s.